Pau Lope/I.P.E. is a Brazilian all-natural product farm grown with the aesthetic look of Teak and the durability of hardwood. Because Pau Lope/I.P.E. 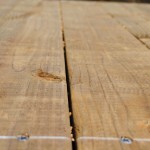 is an extremely dense hardwood, rain, sun, cold or humidity has no effect on the structural integrity of this material. Being a hardwood, Pau Lope/I.P.E. has a natural defense against insects and Mother Nature. With exposure to the sun Pau Lope/I.P.E.’s rich brown color turns to a beautiful silvery patina. Trex decking is a wood and plastic composite, made primarily from equal parts, reclaimed hardwood sawdust, and reclaimed / recycled polyethylene plastic such as grocery sacks and stretch film. 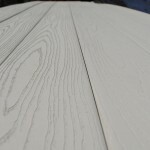 The combination of wood and plastic in Trex decking offers the best of both materials. 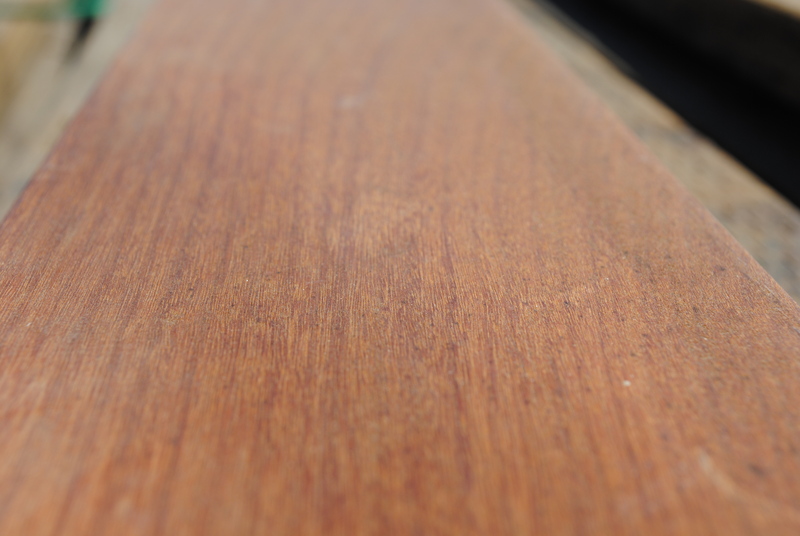 The plastic shields the wood from moisture and insect damage. The wood in the product protects the plastic from UV damage and provides additional stability and traction. 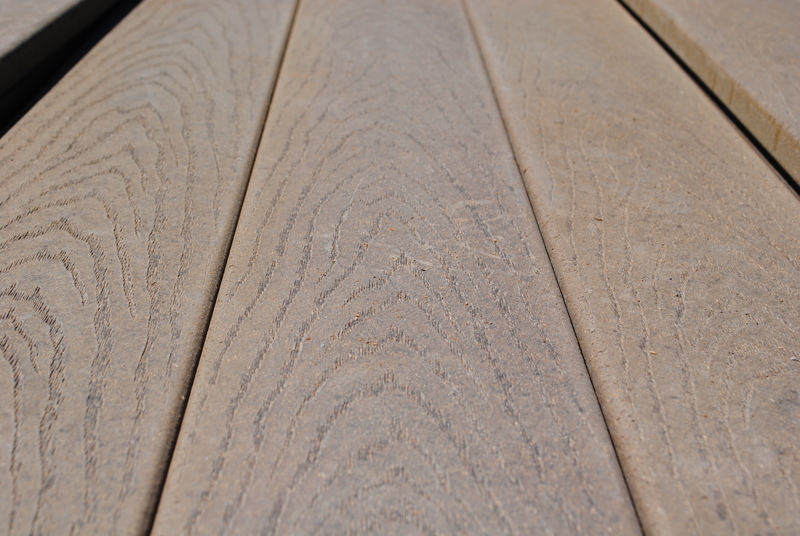 The need to scrub and seal or stain is virtually eliminated with Trex decking. 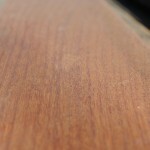 You may choose to have the Trex grain up (pictured) or grain down, where it is a smother look. Trex also comes in a variety colors. Learn more about Trex and browse the different colors at www.trex.com. 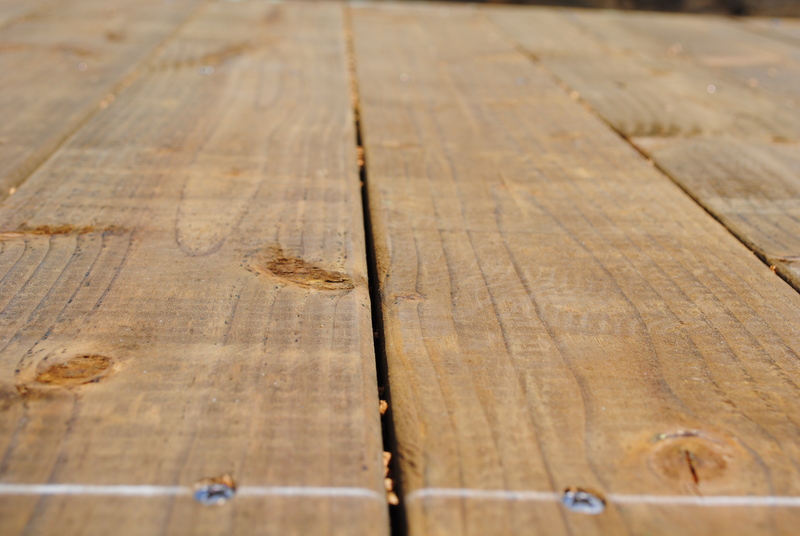 Douglas Fir is the most popular decking used in dock construction because of its cost and all around durability. All Douglas Fir is pressure treated with ACQ (Alkaline Copper QUAT) which reduces insect and moisture damage and extends its life span to make it the most economical choice. The Douglas Fir decking brings a very classic look to your dock. 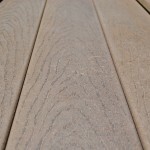 “Sun-miser” decking is also known as “global grid”. 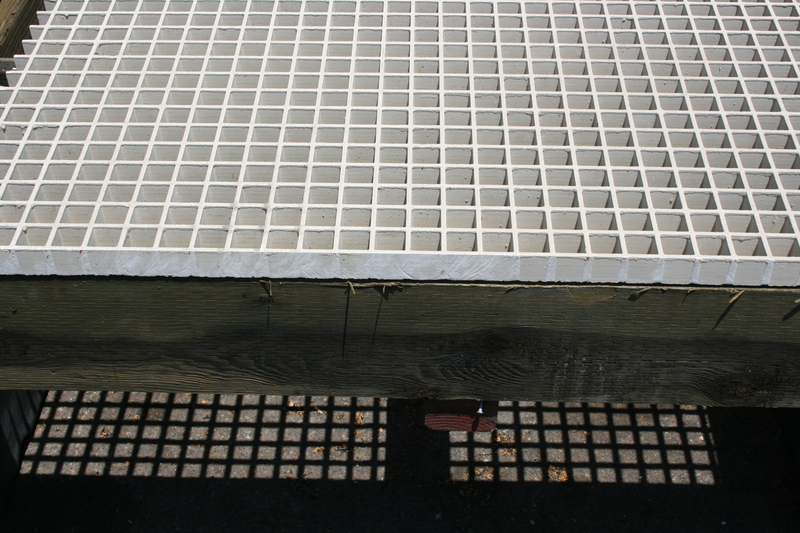 This contemporary decking consists of eco-friendly fiberglass grating as the base for the solid decking. 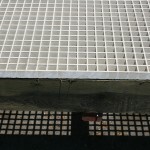 The grating is available in different hole sizes with the standard of 1.5” square holes. This product has been effective in promoting Eel Grass which is required by the California Department of Fish and Game. 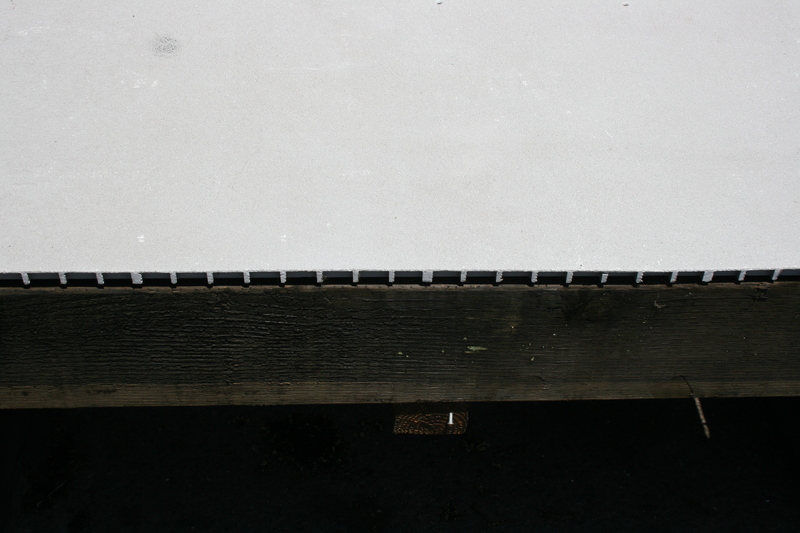 This decking adds a very elegant design to your dock. 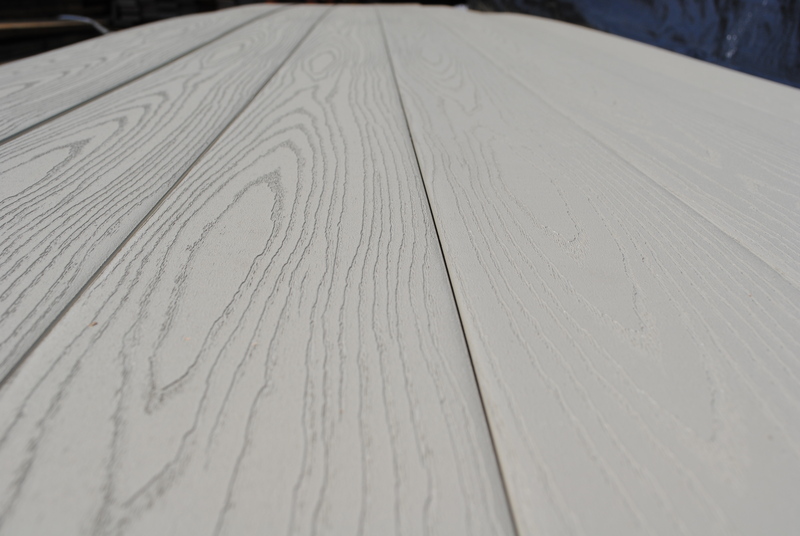 Solid fiberglass decking is available in sizes up to 4’ x 12’. 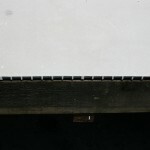 This modern decking limits the seams and allows for the streamlined look that is easy to clean. Solid fiberglass is light weight and can be made to any shape. Although gray is the standard color there are several custom colors available.